How can the phenotypes of offspring be used to determine the genotypes of the parents? How can statistics be used to analyze the results of genetics crosses? Purpose: In the lab you will grow wisconsin fast plants and record data on phenotypes, hypothesize the genotypes of the parents and use a chi square analysis to support or reject your hypothesis. Prediction: What would happen if an anl/anl plant is crossed with one that is heterozygous for the trait? What color(s) would you expect from the offspring? Show the cross below. The yellow-green gene (ygr) in Wisconsin Fast Plants™ determines whether the leaves will be yellow-green or green in color. In the homozygous, recessive form (ygr/ygr), the leaves appear a pale, yellow-green color (which is the “yellow-green leaf” phenotype). The genotype of the wild type is YGR/YGR, which is a dark green. **Yellow-green leaf plants must be grown in soil, the leaf color is not visible on plants that are grown in petri dishes. Then anl/ygr notation can be confusing. Change the genotypes of the plants above to A's (for anthocyanin) and G's (for green leaf). On the notation the (-) indicates that it is irrelvant what the second allele is in the type, since the dominant allele will be expressed. Prediction: Show the cross between a non-purple, yellow-green leaf plant and one that heterozygous for both traits. What ratios are expected in the offspring? The rosette mutant stock is Wisconsin Fast Plants™ stock that is homozygous for the recessive mutant gene, ros, a conditioning deficiency in gibberellin that results in a short, rosette plant form. In the homozygous, recessive form (ros/ros), the plants have the rosette form. If the genotype is ros/ROS or ROS/ROS, then the plants have the standard form. The genotype of the wild type is ROS/ ROS. Prediction: What is the expected outcome of a plant that has a rosette stem crossed with one that is heterozygous for rosette stems? 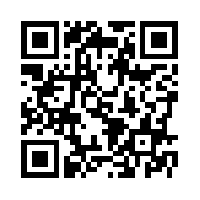 Use the QR code to explore a virtual simulation of how plants can be bred. Hint: after 4 generations, click "show genotypes." Why does the non-purple color disappear after a few generations? How can you bring the non-purple color back? You will be given seeds from one generation, the F2 (second generation). Four days after planting, you will make observations about the phenotype of the young plants. Your job is to to determine what the genotypes of the parents (P) and the first generation (F1) are based on observations of the F2 generation. Day 1 : Follow the “Growing Instructions” and plant F2 seeds in all four cells of your quad. Be sure to label your quad. Day 4-5: Record data on your F2 seedlings, recording the number of wild-type and mutant varieties. Compile the data from the entire class. At this point, thin your plants so that only one per quad is left. Day 14-18: Pollinate the plants using the beesticks. Using your stocks from experiment 1 and any other plants your instructor may have grown, formulate a question that you would like to answer. Cross pollinating your stocks should provide clues to the answer to your question. This part of the lab is open-ended. You are free to investigate whatever traits you wish. How can I determine if my plant is homozygous or heterozygous? What offspring would I get from crossing my plant with a different variety of plant (specify)? How can I create a true-breeding variety? *You can choose any of the seedlings you have to cross-pollinate, just keep careful data on the phenotypes of your cross and label quads appropriately. It would probably best to focus only one one question and eliminate extra variables. In other words, don't just randomly cross flowers for the fun of it - focus your methods to the question you are trying to answer. Your instructor may have planted wild-type versions of the fast plants to cross. Re-pollinate 2-4 days later, it is best to pollinate at 4-8 flowers. After your last pollination, pinch or cut all of the unopened buds to eliminate accidental pollination. Day 20-45: Continue to remove new buds and shoots over the next few weeks and keep plants watered. It will take about 3 weeks for the seeds to ripen. Dry plants and harvest seeds. These seeds will then need to be replanted to see what their phenotype is. 1. Introduction: Include the goal of this activity, the essential question and summarize any relevant background information. 2. Include data tables for your plants showing the numbers for each of the phenotypes that are present. 3. Answer the experimental questions using a statistical analysis (chi square) showing how your data supports or refutes your hypothesis. 4. Conclusion: Summarize what you learned in the lab, what you would have done differently, how you would expand on these topics or investigate further. Instructor notes: I purchase fast plant seeds and give them to students unlabeled. Some will be the result of a dihybrid cross showing a 9:3:3:1 ratio, some will be a monohybrid cross showing a 3:1 ratio. Seeds can be purchased from Amazon. I also grow standard plants and sometimes order mutant varieties for students to experiment with (like yellow green, hairless).